Foothill Sierra Pest Control is a locally owned and operated pest control business that prides itself in its customer service. 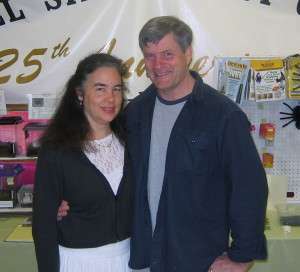 Established in 1977, we have been exceeding customer expectations for over 40 years and will continue to service Tuolumne County, Calaveras County and the surrounding areas for many years to come. At Foothill Sierra Pest Control we offer fast, friendly service and our work is fully guaranteed! If the bugs come back, so will we, at no additional charge. Foothill Sierra Pest Control offers several different pest control options. “Quarterly” service is our most popular service giving you 4 services per year. 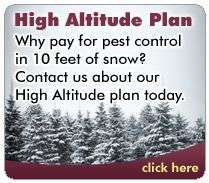 We also offer a “High Altitude Plan” for our customers in the higher elevation areas. We have monthly service as well as a “Single Service” option. Foothill Sierra Pest Control service includes the home exterior, sub area, yard, garage and sheds (if wanted.) The home interior can be treated upon request at no additional charge. The regular pest control service includes treatment for ants, spiders, earwigs, centipedes, scorpions, mice, rats and many other common household pests. Foothill Sierra Pest Control also offers many other additional services. These include Weed control, Star Thistle control, Poison Oak & Blackberry control. Our Vertebrate specialists can assist you with many issues you may have with bats, birds and squirrels. Our mosquito department can provide an additional service to help you greatly reduce any issues you may have with those nasty mosquitoes! In addition to the above services Foothill Sierra Pest Control also offers Pest Inspections, sometimes known as Termite inspections or Wood Destroying Organism inspections. These inspections are often used in Real Estate transactions, Re-finance situations or just a home owners’ peace of mind. We would like to invite you to click here for our online service request or call us and get an estimate.